This rivalry match went down to the wire. Cloud9 vs. Ghost Gaming was one of the most highly-anticipated matchups in the opening round of the winners bracket at the 2017 Call of Duty World League Championship. The rivalries between these players set the stage for an exhilarating best-of-five series—C9’s Patrick “ACHES” Price and Adam “Assault” Garcia played with Ghost’s Andres Lacefield earlier in the year, while John “Xotic” Bruno and Preston “Priest” Greiner joined C9 after teaming with Ghost’s Chance “Maux” Moncivaez on The Gosu Crew. Lacefield and Maux were out for blood in this series, and Ghost got on the board first with a 250-213 win on Retaliation Hardpoint. But, as many Call of Duty fans know, ACHES has always preached the importance of Search and Destroy throughout his career. Despite some insane plays from Lacefield, Cloud9 tied the series up at one map apiece with a 6-2 victory on Crusher Search and Destroy. The series then transitioned to Frost Uplink, which is a small map that features a lot of close-quarters submachine gun battles. Well, that was definitely the case in this series, as the aggressive slayers on both teams put on a show. C9 and Ghost were trading points back and forth, but Ghost edged out ACHES and crew 8-7 to take a 2-1 series advantage. On Throwback Hardpoint, Ghost jumped out to an early lead, but Cloud9 kept clawing themselves within striking distance. They finally took a small lead on the middle Hardpoint, but time on the game clock was rapidly diminishing. Devin “LlamaGod” Tran picked up two crucial kills and jumped out of the Hardpoint as soon as Ghost regained the lead—and the game ended seconds later. Ghost took Throwback Hardpoint 233-229 to win the series 3-1, sending C9 down to the losers bracket. 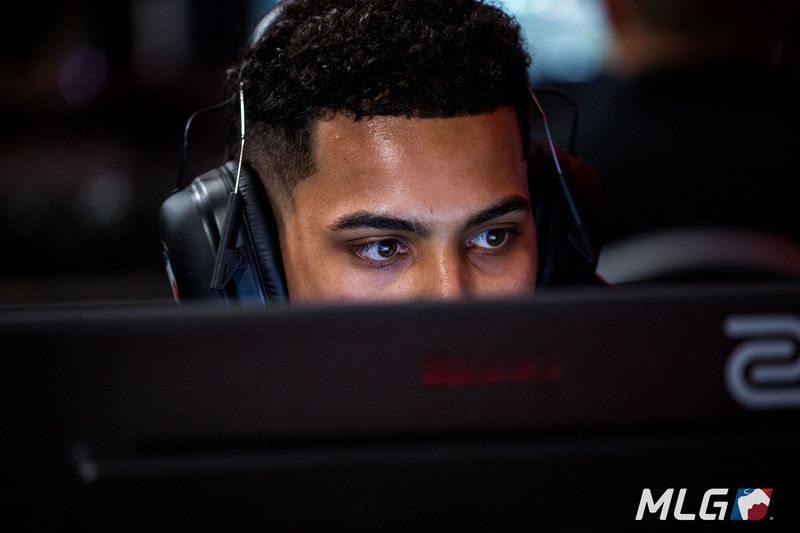 Ghost will now face off against Team EnVyUs—who just defeated Epsilon Esports 3-1—in the next round of the winners bracket tomorrow (Saturday, Aug. 12).